So I've been taking stock of the music I've enjoyed thus far this year, and there's one big trend that's starting to emerge: women on the fringes of country and folk putting out some absolutely excellent records. Sometimes they're a little more pop like Jennifer Nettles, sometimes they're a little more towards rock or mainstream country like Brandy Clark or Lydia Loveless, but between case/lang/veirs, Dori Freeman, and Lori McKenna, it's starting to coalesce into a trend, especially this summer. In other words, given the frankly startling amount of critical acclaim going her way, I was bound to check out the newest album from Angel Olsen. Long time fans will remember that I covered her 2014 album Burn Your Fire For No Witness... and that I didn't really care all that much for it. It wasn't because of the content, don't get me wrong - Olsen is a strong songwriter with a good penchant for capturing the emotional subtleties in her tunes, and a lot of the rougher production could have been a good compliment for it. But her biggest strength by far is her vocals, and that record chose to smother her in lo-fi fuzz that didn't flatter her subject matter or delivery - what could have been a potent torch album instead guttered into something I wish I remembered better. 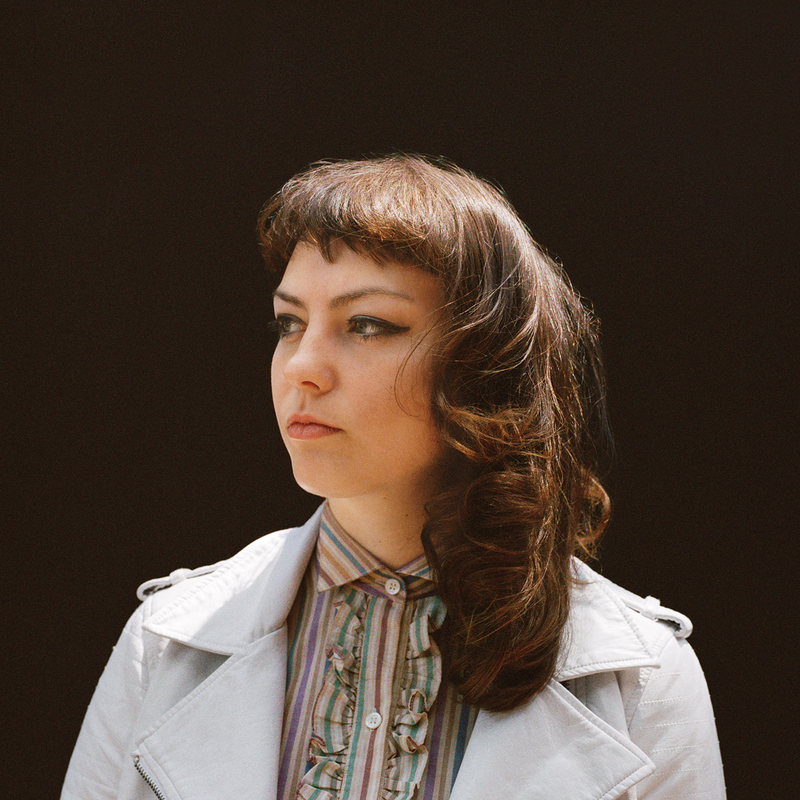 So when I heard that Angel Olsen was releasing a more open-ended, experimental record that was jumping across styles - and was one of her most critically acclaimed to date - I was definitely on board. Hell, I've always wanted to like her music more but have been waiting for her to find the right sound to balance against it... so with MY WOMAN, did she get it? Well here's the thing: I completely get why this record is getting so much critical acclaim from some critics as Angel Olsen's best album to date, on which I would agree - most notably critics who only dip their toes into the indie country scene, if that. Because what I'm seeing more here than ever is a case of an act being praised for defying genre and breaking into a new sound... and yet I'm sitting back acutely aware of all the indie country artists who have not only used this sound recently, but have done it significantly better. And look, even though I still like this sound and will be recommending this record, the fact that so many have gone crazy over Angel Olsen while ignoring the other artists who have been using this sound for a couple of years now does kind of annoy me, especially when she's not really doing it better. And it's a sound that nearly everyone in the indie country scene has been hearing since at least 2012. Look, there's no way around it: I can appreciate Angel Olsen might bring a little more ragged garage rock guitar through on songs like 'Sister' or 'Shut Up Kiss Me' - even though I still wish she'd let the tones spark with a bit more fire, they always feel a tad too distant in the mix for immediate impact, especially on 'Never Be Mine' - but these are familiar textures and tones. The most immediate comparison is Lindi Ortega, and while I didn't love her last two records including last year's Faded Gloryville she still has a firmer grasp on this vintage traditional country/jazz-touched rockabilly sound. And what's alarming is that she's far from the only one: Whitney Rose, Tami Neilson, Margo Price and Cheryl Desere'e on more of the country side, Dori Freeman if you want to play more to the folk angle - hell, even though Kacey Musgraves opts for more rounded and warm tones, on a compositional level it isn't far removed. I could easily go on here, but what it highlights is outside of a bit more reverb and muted sizzle, nothing that Angel Olsen is doing here surprises me. Even the stately touches of synth on 'Intern' - not a bad track, but not one that really connects more deeply for me either - I'd argue that Lydia Loveless did better on Real less than a month ago. And this is where we get to content, and where I find myself even more frustrated... mostly because if I wanted a ten song album of complicated, fracturing relationship songs on the outskirts of country, Real by Lydia Loveless was dropped around a month ago, remains one of the best albums of 2016, and frankly hits me with a lot more impact... just like when she released Somewhere Else right around the time Angel Olsen released Burn Your Fire For Not Witness. And that's not saying that Angel Olsen's writing is bad - far from it, the songs are tastefully framed and don't shy away from relationships in all kinds of disrepair, from the moments of love that go unrequited on 'Woman' and 'Never Be Mine' to the songs where she's trying to hold it together despite being betrayed or lied to by her partner, like on 'Shut Up Kiss Me' and 'Give It Up' or even the disinterest on 'Those Were The Days', where he says he loves her and yet she's going to hold onto the words in the absence of the feeling - that's some powerful stuff, I'll give her that. Or take 'Not Gonna Kill You', where she's just hoping this guy's conscience will kick in to get him home and save things. And 'Pops' plays the breakup in real time as he dumps her, and Olsen's teary delivery absolutely kills it, even if I do wish the song hadn't opted for lo-fi pickups and instead kept it more intimate. But the detail that bugs me about the writing of this record - and why Lydia Loveless takes the edge consistently - is that more often than not Angel Olsen feels like a captive of her own emotions and frustrations, not able to take the agency to stand up for herself or push forward - she even admits this guy will be in her heart forever regardless of what he does on 'Give It Up'. With Lydia Loveless the difference comes in knowing she has the choice and options, which intensifies the instability and makes the emotional dynamics have more of an edge, and overall, that feels more realistic in these situations. And that's not saying Angel Olsen doesn't go in that direction, with the best example being the breakup song 'Heart Shaped Face'. Even though she's not the type to leave her past behind - you can tell in the production - she knows that this guy's choice to use her to either dig up past loves or erase them shows a refusal to get on from the past that she needs to end, even if it is the last thing she wants to do. So look, MY WOMAN is definitely a good album, probably Angel Olsen's best and certainly one that plays to her strengths as a singer-songwriter. But for me it's shy of a great one, and not just because of the competition - the writing and delivery only connect more deeply in spots, and I'm not completely blown away by the production, which just like on Burn Your Fire For No Witness can still feel oddly distancing at points. Again, a lot of this music is very much up my alley, which means it's getting a solid 7/10 from me and a recommendation - but it also means I've heard this sound plenty and heard it done a little better. Still, fine record if you're a fan of any of the artists I've mentioned throughout this review, and even if you're not, it's still Angel Olsen's best and that's worth a listen.